In part two of our coverage of the Food Marketing Institute’s (FMI) “Power of Foodservice at Retail 2018” report, we are focusing on two more of the top 10 findings: Strive to be top of mind and maximize your share of market. An obstacle many food retailers encounter when trying to build a flourishing foodservice business is that they’re just not the first option that pops into most consumers’ minds when they’re looking for a meal outside the home. The Power of Foodservice at Retail 2018 report found that when shoppers are in a rush or not in the mood to cook, they are twice as likely to buy from restaurants. When they are time-strapped, 52 percent prepare a quick meal; 33 percent buy from a restaurant; and just 14 percent purchase grocery deli prepared foods. When they’re not in the mood to cook, 69 percent opt for restaurant food vs. 31 percent who buy deli prepared food from their supermarket. Why are restaurants twice as likely to get the business in either scenario? Sixty-eight percent of shoppers say the grocery deli simply is not on their radar even though it is a perfectly good alternative; 32 percent say their store’s foodservice offering doesn’t meet expectations. • having access to multiple cuisines vs. typically just one at most restaurants. Proximity is a close fourth, the report found. Secondary reasons focus on the two important perception advantages as identified in the 2016 study: healthier and better quality. These reasons provide important marketing clues for improving trips and trip conversion among shoppers who do not have foodservice on the radar while it would be a perfectly good option. Reminding shoppers pre-trip and in-store with messaging on saving time, money savings, cuisine variety, nutrition and quality may make foodservice more top of mind. 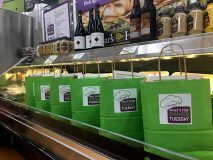 These brightly colored meal kit bags draw attention to the deli and its possibilities at Newport Avenue Market in Oregon. • Can shop for grocery items at the same time. • A variety of choices (different cuisines, etc.) offered in one place. • Easier parking/access (especially in a city setting). • Prepared items can be purchased as a component for an at-home meal or as an alternative to a restaurant meal. • It’s a solution for both singles and households. For singles, stress the convenience and savings; for larger households, stress the meal variety and value. One group that grocers may be able to convert more quickly and easily is the Millennial. “We know Millennials love foodservice,” Roerink said. Technology is another means of staying on the shopper’s mind as a meal provider, especially the Millennial. Sixty-three percent of shoppers use smartphones, computers or other technology sometimes, frequently or nearly always to help them decide where and what to eat for dinner—among Millennials, it’s 77 percent. More than half of the survey respondents said they are willing to sign up to receive foodservice promotions, with email preferred. Shoppers who more heavily rely on foodservice are much more likely to opt in, opening the door for customized and loyalty-focused outreach. The report also says that shoppers who buy fresh prepared items for lunch are good targets to convert for dinner solutions. Offer convenient meal solutions through a daily deli deals type program, the report urges. Trial and usage are key to consumers increasing their visits to grocers’ deli/prepared foods departments. The reason consumers don’t immediately think of their grocery store for meals isn’t that grocers are neglecting their deli/prepared foods departments. 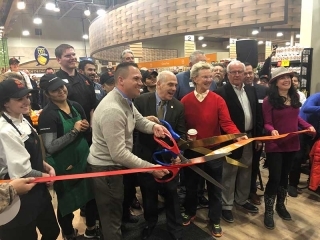 Roerink said in a webinar earlier this year that, according to FMI’s annual “The Food Retailing Industry Speaks” report, which represented more than 3,300 stores in 2017, grocers are indeed focusing a lot of effort on the deli prepared area. 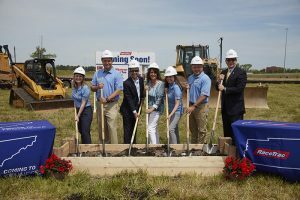 Eighty-eight percent said they wanted to allocate more space to grab-and-go products; 59 percent said they wanted to add more space for made-to-order items; and 59 percent want to devote more space to self-service bars. There also is a push toward having chefs on board and having better trained staff members. “This interest, I think, is very well placed,” Roerink said. For the “Power of” report, FMI asked 1,500 shoppers how often they buy deli prepared foods, and it’s only about once every three weeks. That means that grocers have to “find a way to connect better with the consumer that is in our store anyway. If we can make that once every two weeks or even once every week, then we can gain an enormous amount of sales in this department,” she said. Supermarkets have the highest household penetration and purchase frequency for foodservice items, yet 50 percent of shoppers purchase grocery deli prepared beyond their primary store and 50 percent say it is typically a substitute for home-cooked items. Foodservice has a potentially higher ring and margin, so being a known prepared food destination that can compete with restaurants for meal occasions will help lock in more of the dinner dollar vs. cannibalizing sales from other grocery departments, the report said. Assortment and experiential factors, along with the shoppers’ physical location at different day parts (work vs. home proximity), play into channel shifting. However, improvements to capture a greater share of foodservice dollars among primary shoppers signifies huge potential for future growth. The first step is to carefully tailor assortment to the store audience to optimize immediate consumption occasions; second, it is important to lock in future consumption occasions that may be lost to other stores due to meal time proximity with heat-and-eat items and meal kits. Provide options for speed-focused shoppers. These shoppers have interest in grab-and-go and heat-and-eat options, along with the ability to order ahead and dedicated foodservice checkout lanes. Provide options for nutrition-focused shoppers who deemphasize price and speed but value customization. Along with healthy options, transparency with respect to ingredients, quality and freshness are important to these shoppers. Enhanced in-store amenities to capture Millennials and urban shoppers. While less important than price, speed or nutrition, Millennials and urban shoppers place high importance on amenities such as seating areas, free WiFi, table service, outside patios and even entertainment. Targeted investment in expanded variety matched to the core shopper can win over shoppers at mealtime. While consumers want more options, the options need to be matched to the core shopper. 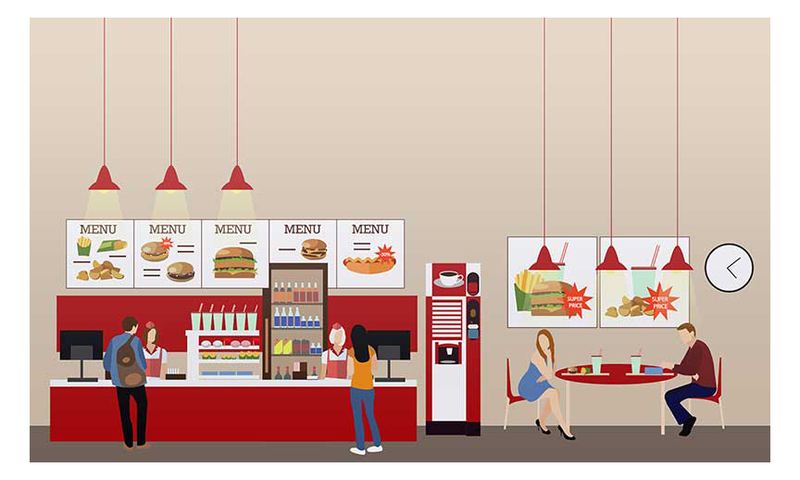 Customization is also important to many shoppers, particularly frequent foodservice shoppers. The Power of Foodservice at Retail 2018 report was prepared by 210 Analytics LLC and sponsored by Hussmann Corp. and The Shelby Report. How are digital menu boards not mentioned with “signage” and technology!?! Great perspective into a changing marketing environment. This area will continue to develop where one of the retailers largest areas of competition is casual dining!